Why download software to create documents when you can easily work on them online? 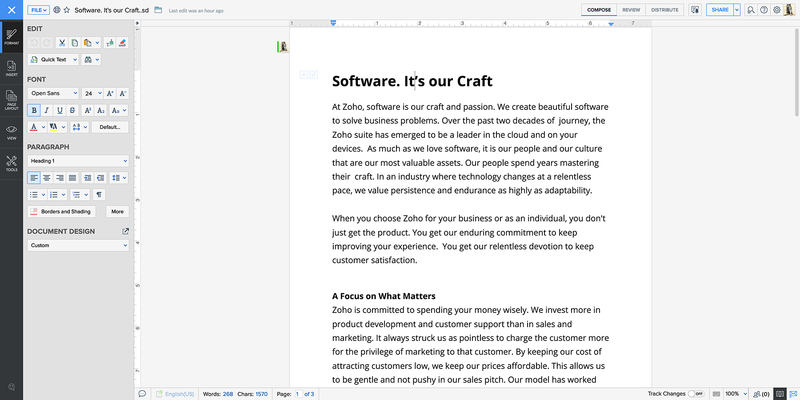 Edit files of various formats using Zoho Docs' built-in editors. Work with your associates, even while you're away from your desk. Monitor changes to your files, go back to previous versions, and publish your final pieces for everyone to see. Create stories with Zoho Writer. A clean, crisp space for you to write without distractions. Share documents with your colleagues. Discuss with them in realtime. Get unlimited versions of your document. Compare changes. Publish directly to WordPress. Sign deals using digital signature. Substantiate your stories with Zoho Sheet. Built-in formulas for quicker and more accurate calculations. Charts and pivots to better organize and showcase data. Share spreadsheets with colleagues or anyone on the web. Pitch your story with Zoho Show. Insert images or videos and real-time Twitter feeds into slides. 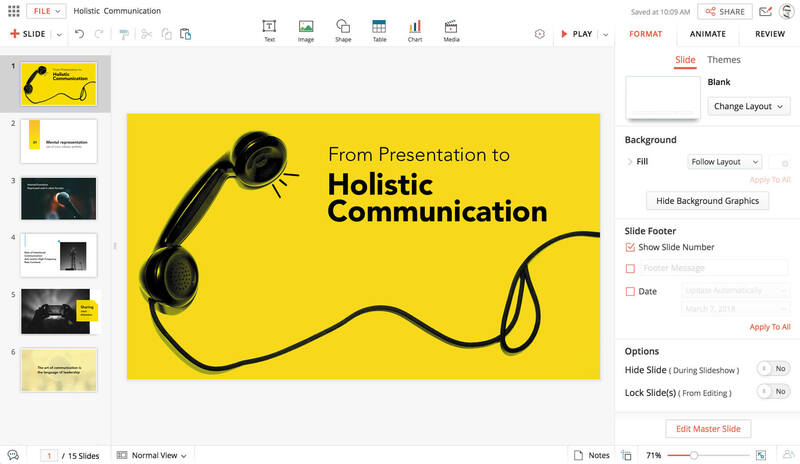 Deliver presentations virtually to anyone with just a URL. Share your presentations on social media or embed them on websites and blogs.